A pair of aging singers from the early 1960s get involved in a gold heist in attempt to make good on their humble later-in-life dreams of opening a doo-wop-themed restaurant in this charming and funny indie effort. 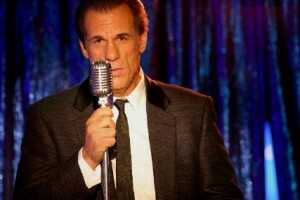 What makes the situation in The Dukes “funny” is that the aging singers (Robert Davi, Chazz Palminteri), the core of the titular doo wop sensations, are currently waiters in an Italian trattoria owned by their feisty aunt (Miriam Margolyes) and that the gold they plan on jacking is actually a low-grade compound used by dentists for fillings. And the “charm” comes in when one considers the heist’s simple but strong metaphor: Like their doo-wop dreams and restaurant ambitions, the men’s path to success is almost paved with gold, but it isn’t quite real. Directed, produced and co-written by tough-guy character actor Davi (License to Kill, Showgirls), who obviously put his all into this project, The Dukes enjoys a relaxed pace, a solid retro-rock soundtrack and a handful of well-drawn characters, including Frank D’Amico as a wheelchair-bound former stand-up comic, Bruce Weitz as an aging safecracker and Peter Bogdanovich as the boys’ fumbling manager. And let’s not forget Paliminteri’s passion for plus-size women! 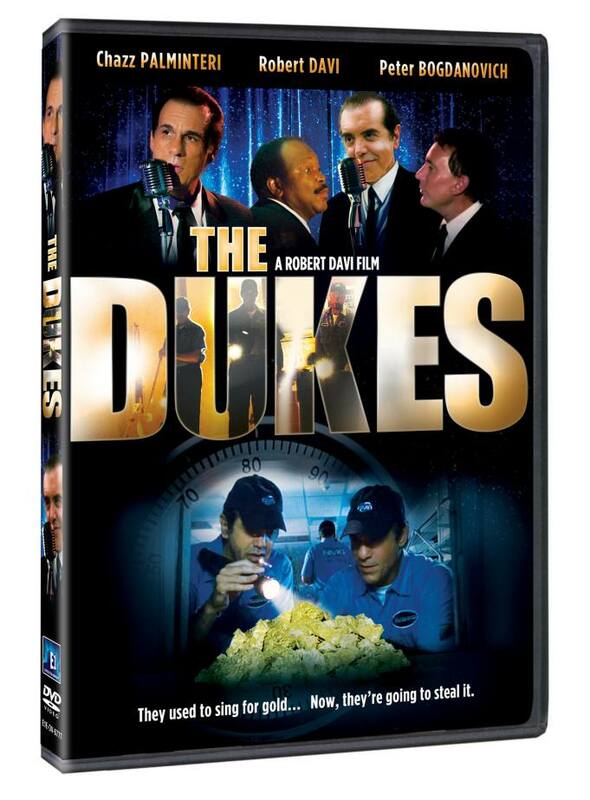 The well-priced discs come outfitted with a plethora of supplements, including a commentary, lots of deleted scenes and Q&A session with virtually every member of the cast, which also includes the familiar faces of Elya Baskin (Peter Parker’s landlord in the Spider-man movies) and Melora Hardin (Steve Carell’s ex from The Office).